managing biodiversity threats in the region. 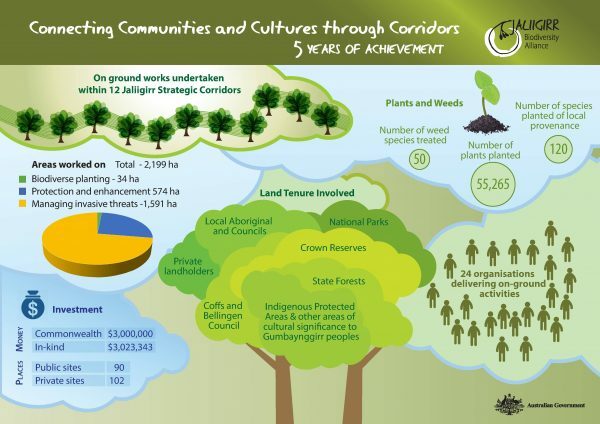 While administered through North Coast Local Land Services, the project is primarily delivered through project partners, including the Jaliigirr Biodiversity Alliance Inc, Coffs Harbour City Council, Coffs Harbour Regional Landcare, Coffs Harbour Local Aboriginal Lands Council, Bellinger Landcare Inc., Bellingen Shire Council, Never Never Catchment Group, EnviTE and the Dorrigo Local Aboriginal Land Council. 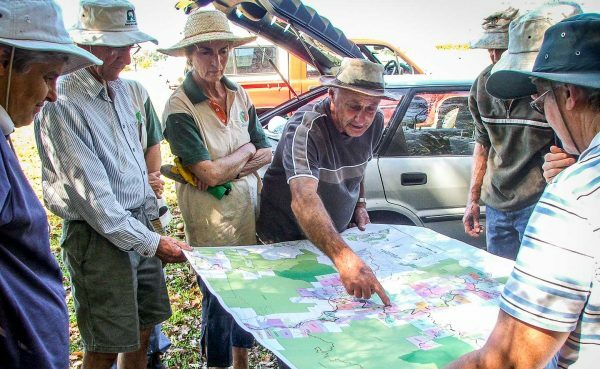 Project works are implemented by land managers, professional bush regenerators, Aboriginal green teams, volunteers and other natural resource management groups, and also include capacity building activities that aim to reconnect individuals, communities and government agencies through the implementation of the project. All project activities are focused on defined strategic corridors identified by the Jaliigirr Biodiversity Alliance working Group. 32 ha of bio-diverse plantings to expand the current area of native vegetation between key vegetation habitats within the Jaliigirr project area. 45,000 native species planted and maintained. 524 ha protected and enhanced through pest plant management, threat exclusion and infill planting. 1500 ha of invasive plant management within and adjacent to biodiversity corridors. 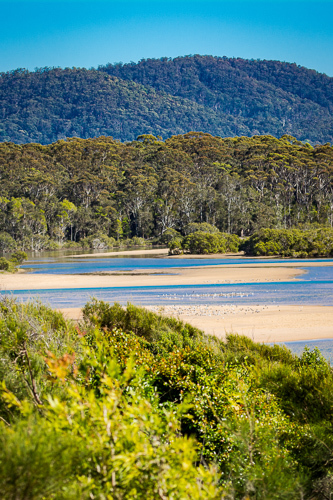 89 privately owned areas and 73 public land sites secured and landholders committed to maintain on ground improvements. 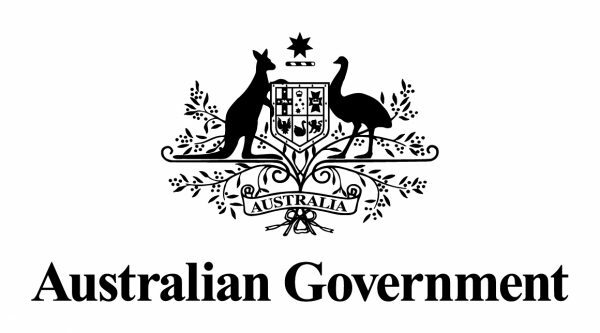 Clean Energy Future Biodiversity Fund.